My sincere love of pie has had me experimenting in the kitchen for years. I’ve eaten my share of last slices straight from the pie plate at midnight. And many, many pies later, I’ve discovered a few surprises. The truth is, there are tons of ways to take your pie up a notch, without even straying too far from the basics. 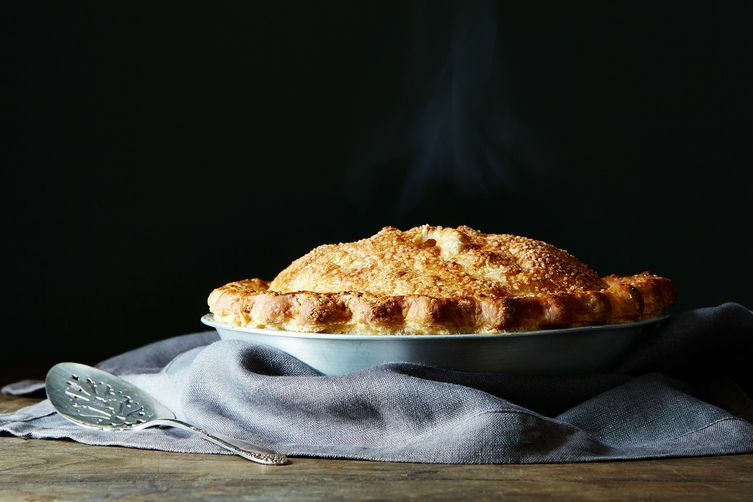 We're revisiting these fancy pie tips and tricks because there's surely some dinner guests to impress (plus yourself). 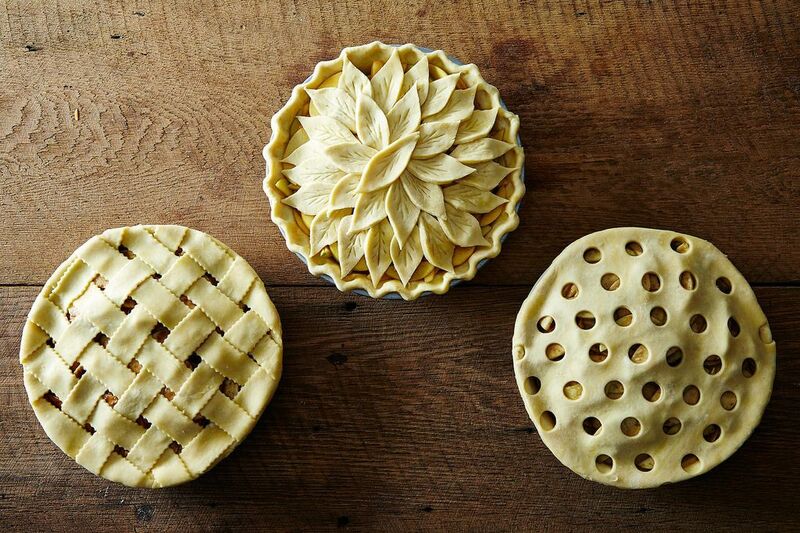 Once you've mastered your pie crusts, dressing up your Thanksgiving pies will be as easy as...well, you know. 1. Rounded Crimped Edge: You’ve mastered the classic crimped edge, which makes a fluted edge with points. With this new technique, the bowl of a spoon guides the finishing of the edge, making a slightly rounded, more fluid edge. The larger the bowl of the spoon, the bigger the waves will be. 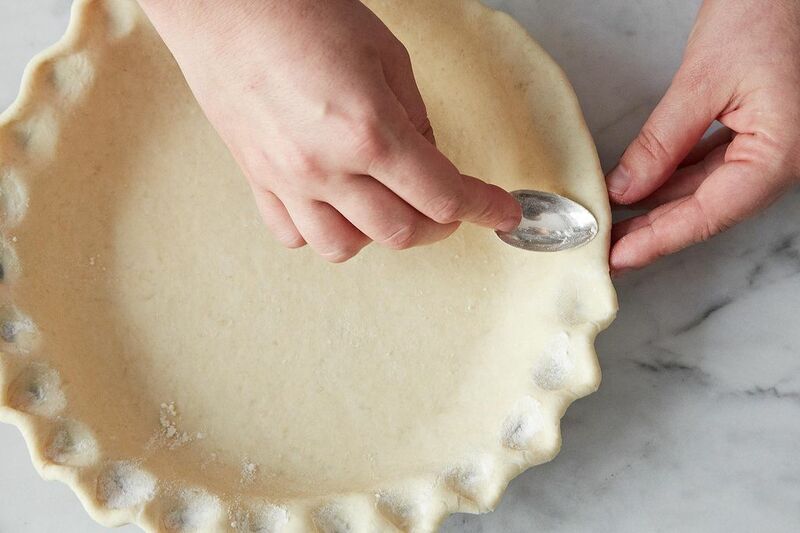 Dip the bowl of the spoon lightly into flour and press it gently into the crust, moving outward and using your fingers to guide the outer edge. Repeat all the way around the crust. 2. Dotted Edge: Roll out pie dough scraps to 1/8-inch thick. 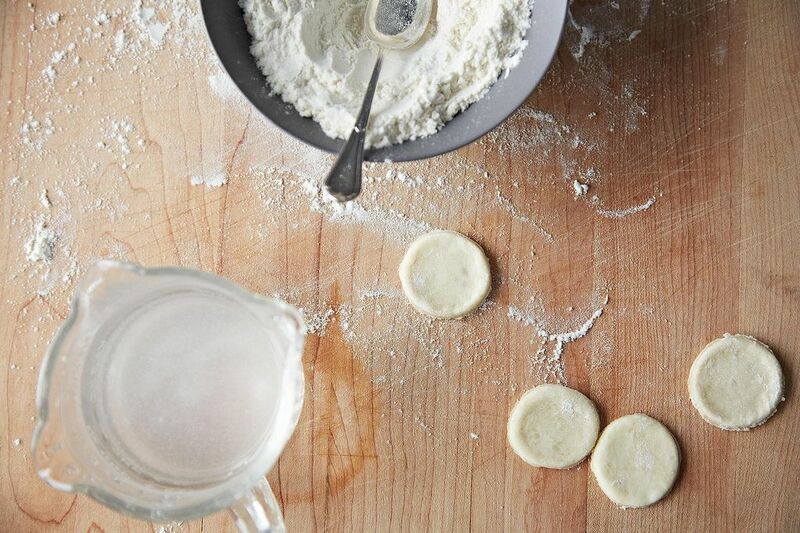 Lightly flour a small circular cookie cutter (in a pinch, you can use a shot glass or even a bottle cap), and cut out enough circles to cover the entire edge of the pie. Brush the edge of the crust with water, and lay the circles around the edge, overlapping slightly. Any shape can be used, just remember to keep the dough pieces small. Pieces that are too large are more likely to become misshapen in the oven. 3. 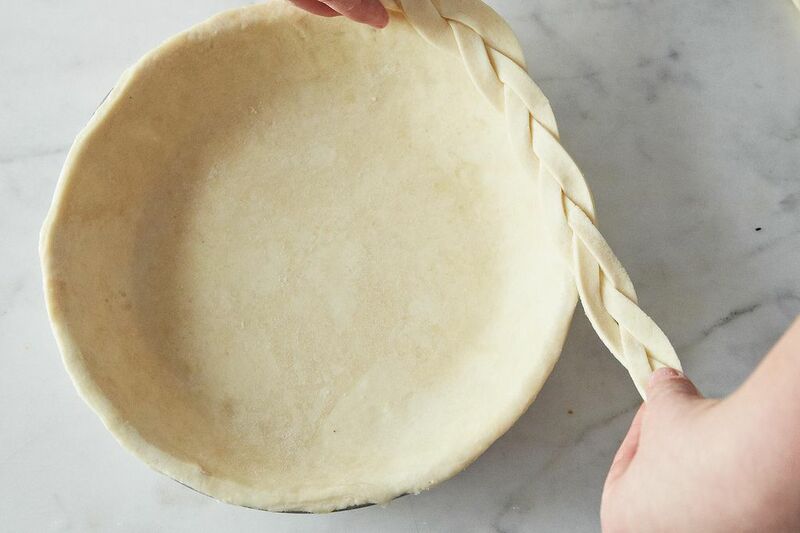 Braided Edge: Roll out pie dough scraps to 1/8-inch thick—it’s best to keep the piece of dough as long as possible. A standard pie 9" pie pan is slightly more than 28 inches in circumference, so either go for it and roll out your dough to be about 29 inches long and make a single braid, or take a more sensible route and roll it out in two 15-inch sections to make two braids. Cut three long, thin strips (about 1/4-inch wide) using a chef’s knife or pastry wheel. Pinch three strips together at the top, and braid together. When the pieces are almost fully braided, pinch the ends together to seal. Hold the strand at both ends and stretch gently. Brush the edge of the crust lightly with water and press the braid (or braids) into the edge (if you made two braids, overlap the pieces slightly to achieve a seamless effect). 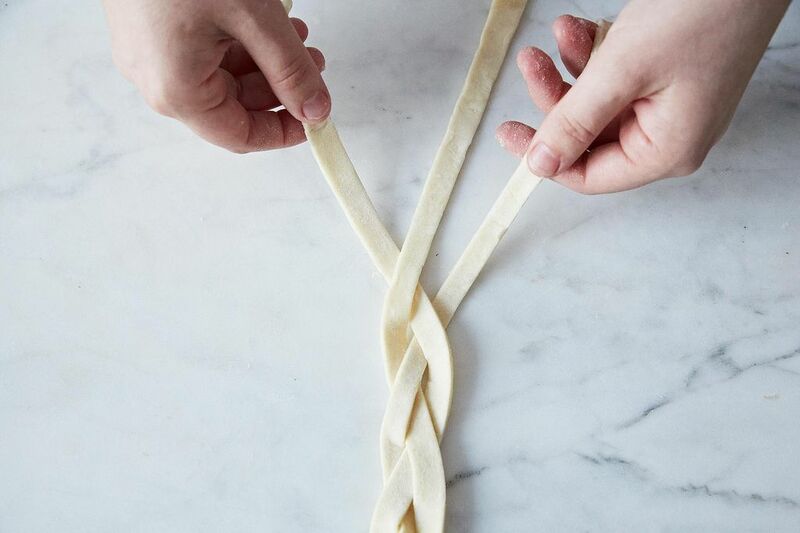 This technique also works well with just two pieces of dough, twisted together. Try it with a spiced up pumpkin pie! 4. Ruffled Phyllo Crust: Place a piece of phyllo onto a work surface. Brush with melted butter, and top with another piece of phyllo. Place the second piece slightly off kilter, so the edges don’t match up, and the points of the dough are askew from the first piece. Repeat until you’ve layered 7 pieces of dough. Transfer the dough to a pie plate, and crumple the overhang around the edge. From here, the crust can be blind baked or paired with a filling and baked. 5. 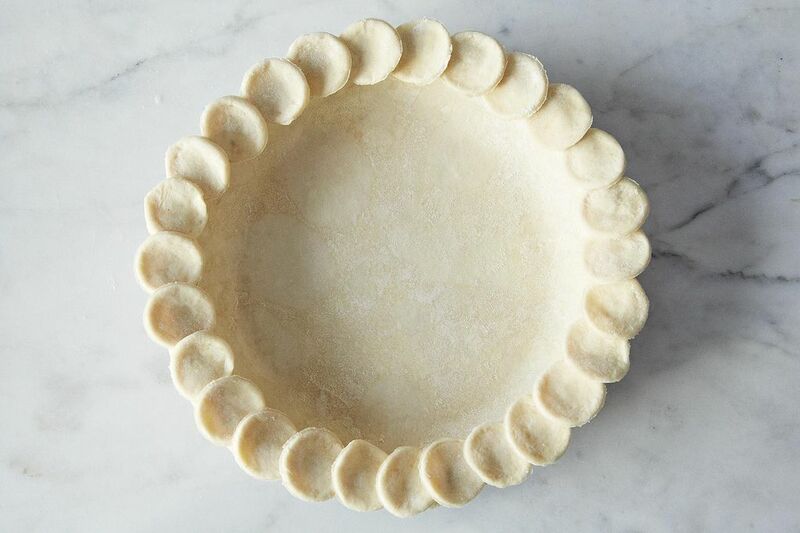 Cut Out Double Crust Pie: Roll out pie dough to 1/8-inch thick. Cut out shapes from the dough. Working from the outside edge to the center, layer the dough pieces on top of the the pie filling, overlapping slightly. This is a simple and eye catching alternative to a standard double crust pie—and is far easier than lattice work. 6. Lattice: If you want to tackle lattice, roll out your top crust to 1/8-inch thick. Using a pastry cutter or a sharp knife, cut long, even strips of dough (I like to make mine about 1/2-inch wide). Continue until you're out of dough. Place half of the strips horizontally across your pie filling with a 1/2-inch between each strip. Fold back every other strip halfway, and place a strip vertically down the pie (right up against where you've folded the strips back). Then swap the horizontal strips: unfold the folded ones, and fold back the others. Repeat, placing down another vertical strip, leaving 1/2-inch between each vertical strip, and fold and unfold the horizontal strips in the same way. Repeat, working outwards, until 1/2 of the pie is latticed. Then rotate your pie and do the same on the other half. Trim the edges of the crust. Try it on out on a remixed apple pie with cider! 7. 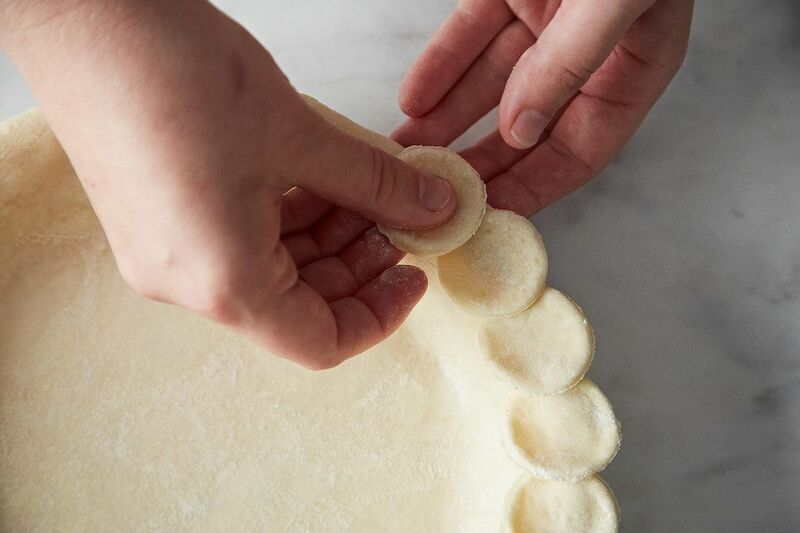 Circles: Roll your top crust to 1/8-inch thick. 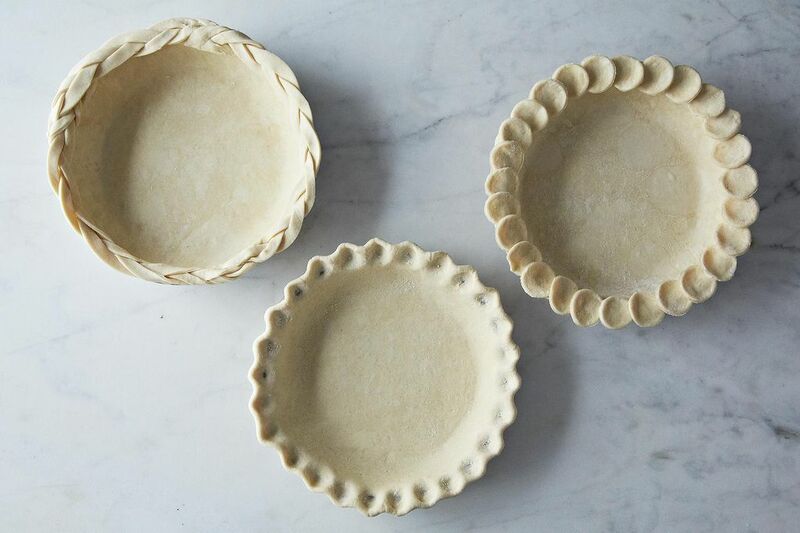 Using the a pastry tip (substitute with a small cup or round object), cut holes all over the crust. Place the crust on top of the pie and seal the edges. 8. Leaves: Roll your top crust to 1/8-inch thick. Use a real leaf as a guide, or freehand it, to cut out leaf shapes. With a toothpick or skewer, lightly etch a vein design into the top of each leaf. Starting from the outside edge of the pie, layer your leaves (overlapping them slightly) over the pie filling in concentric circles. 9. Toasted Marshmallow: Love the look of meringue? Try an easy (and delicious) alternative -- marshmallow topping! Cook 1 1/3 cups sugar and 2 cups water in a small saucepan until it reaches 250 degrees (measure with a candy thermometer). In the bowl of a stand mixer, sprinkle 1 tablespoon of gelatin over 1/2 cup of cold water and let it sit for 5 minutes. Add the cooked sugar and water to the stand mixer, and whip the heck out of it until it gets fluffy and triples in size. From there? Mound it on the top of your favorite pie and toast to perfection in the oven or with a torch. 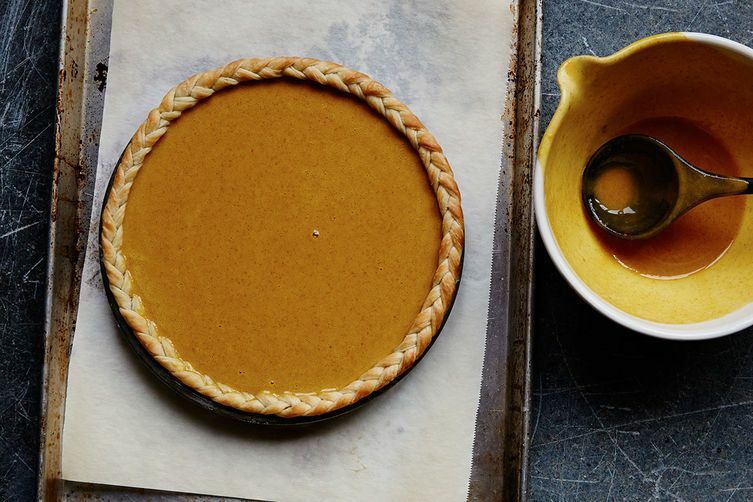 Try it on a no-pie pumpkin pie, for a really exciting treat! 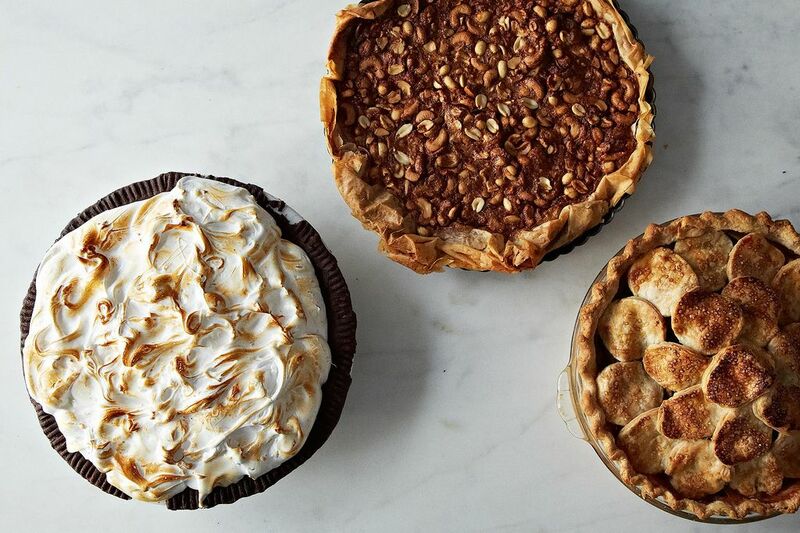 What are your favorite ways to fancy up pies? Let us know in the comments! Photo of pumpkin pie by Nikole Herriott, apple cider pie by Mark Weinberg, all other photos by James Ransom. My son loves pies. For his birthday in June we are planning a pie party, sweet and savory! Who needs birthday cake, anyway? This article comes at the right time. Thanks. So many great ideas Try. Thank you for these tips. Love the leaves idea. Love this article and these ideas! 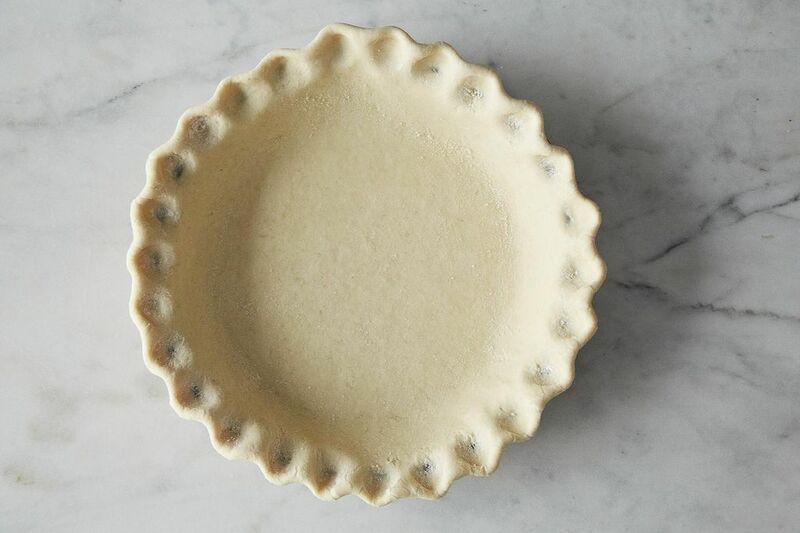 Erin, do you have a favorite pie crust recipe you would suggest? Thanks for the directions for the lovely pie crust rims! I just asked about the braided rim and presto--it's there waiting for me! I've been really wanting to try the braided crust but always get worried about it getting too warm (and then tough) while I'm working. Antonia, do your cut-outs distort in the baking? Mine did last time and you could not tell what they had been. But I will do them again--love the idea, especially when they hold their shape. I was using stars for the 4th--and they curled up and went every which way. Great ideas! I think I'll have try a few (or all) of them to be ready for the holidays.